Established in 2007, JMB Cranes is a renowned South African Mobile Crane Hire Company who place prominence on providing their clients with custom Lifting Solutions that are reinforced by the meticulous knowledge and experience of our expertly trained staff in order to ensure that our projects are completed in a highly professional manner whilst providing the correct equipment at the right time for the job at hand. Our Mobile Crane Hire Company offers an all-round package for your lifting needs, from the initial job and risk assessment, implementation, as well as final project commissioning. We pride ourselves on our professionally trained and industrious operators and riggers who are qualified to meet the most stringent safety standards required in the mobile crane hire industry. 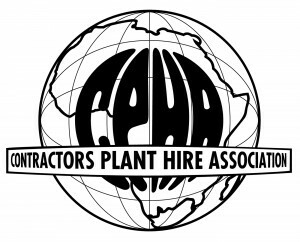 JMB Cranes is a member of the CPHA (Contractors Plant Hire Association) and is therefore dedicated to upholding our excellence in safety, maintenance, availability, reliability and total cost effectiveness to get the job done. Spearheaded by Janet Spanjer, the founding director of JMB Cranes since the company’s inception, JMB Cranes leverages her extensive experience with numerous crane hire companies in the industry, and with a hands-on approach, she serves the market with unbridled passion and dedication on every project that she embarks on.